An autonomous vehicle is one that is capable of sensing its environment and navigating through the roads without any manual human input. 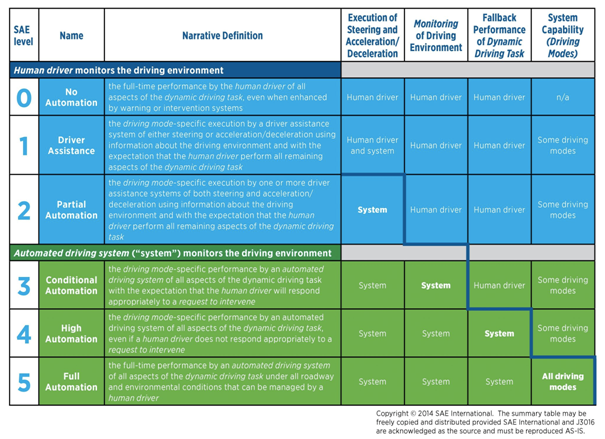 The Society of Autonomous Engineers (SAE) has created a method to classify cars, whether automated or not, into six levels as given below. In the first three levels, the driver monitors the driving environment. Level Zero cars have no automation, with only the ability to give warnings. 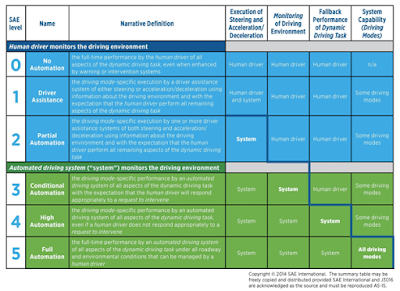 In Level One, the driver and the system share control of the vehicle. For example, the ‘Adaptive Cruise Control’- where the steering is controlled by the driver and the speed is controlled by the system. 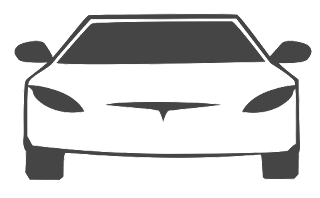 Level Two cars have partial automation where the system is capable of taking full control of the vehicle, but the driver must monitor the car at all times and must be willing to intervene at any moment. In the last three levels of the classification, the automated driving system is capable of monitoring the driving environment. Level Three has conditional automation where the driver can safely withdraw from most driving tasks. However, the driver will be given the notice to intervene when there is a dynamic driving task that the system cannot handle. Levels 4 and 5 are very similar with no need for human intervention. But all roadway and environmental conditions can be handled by the system in Level 5, unlike Level 4 vehicles. What is the current status of these vehicles? Autonomous vehicles are in the testing stage in many countries. In some countries, testing is only allowed in less populated suburbs, while in other countries, testing on public roads is allowed. Fleet operators have to closely monitor the vehicles to ensure safety in all the countries. In the US, testing is carried out on public roads; recently an autonomous car operated by Uber crashed into a person causing death. This raised major concerns regarding the safety of autonomous cars and subsequently Uber withdrew their robo-taxis from California. Following this, Baidu had received permission in China to start testing in the less populated suburbs. It has also been confirmed that Baidu’s autonomous buses called Apalong will start operating in Japan in 2019. Along with this, there are teasers by Elon Musk that imply the release of Level 5 cars by Tesla. It is clear that this technology will be significant in the coming days and will soon be approved in many counties. Nitin Gadkari, the Union Minister for Road Transport says, “We are not going to promote any technology or policy that will render people jobless”. According to him, India has a shortage of 2,200,000 drivers and to meet the current demand of drivers they will open 100 ‘Driver Training Institutes’ and hope to create 500,000 jobs for drivers in the next five years. However, in contrast to what Gadkari has said, The Motor Vehicles (Amendment) Bill 2017 has to a certain degree accepted the possibility of autonomous vehicles. As per a section in the bill, “In order to promote innovation and research and development in the fields of vehicular engineering, mechanically propelled vehicles and transportation in general, the Central Government may exempt certain types of mechanically propelled vehicles from the application of the provisions of this Act”. I absolutely disagree with the Union Minister’s view that technology would result in job losses. According to a study by Deloitte in the UK, technology has created more jobs than it has destroyed. Between 1992 and 2014, there was a 79 percent drop in weavers and knitters from 24,009 to 4,961, a 57 percent drop in typists, and a 50 percent drop in company secretaries. But on the other hand, there was a 580 percent increase in teaching and educational support assistants, 183 percent increase in welfare, housing, youth and community workers, and a 168 percent increase in care workers and home carers. Surprisingly, while in 1871 there was one hairdresser or barber for every 1,793 citizens of England and Wales, today there is one for every 287 people (The Guardian, 2015). So, to say that technology would result in job losses is meaningless as technology has proven that alternative jobs will always be created. I hope in the light of these facts we can look past job losses being a major hindrance to the introduction of this technology in India. Another factor that is significant for a technology of this kind to be successfully introduced into the market is acceptance by the people. According to a survey conducted by KPMG, Indians are the most accepting towards autonomous vehicle technology. Thus there may not be much resistance from the people at large when the technology comes to India. 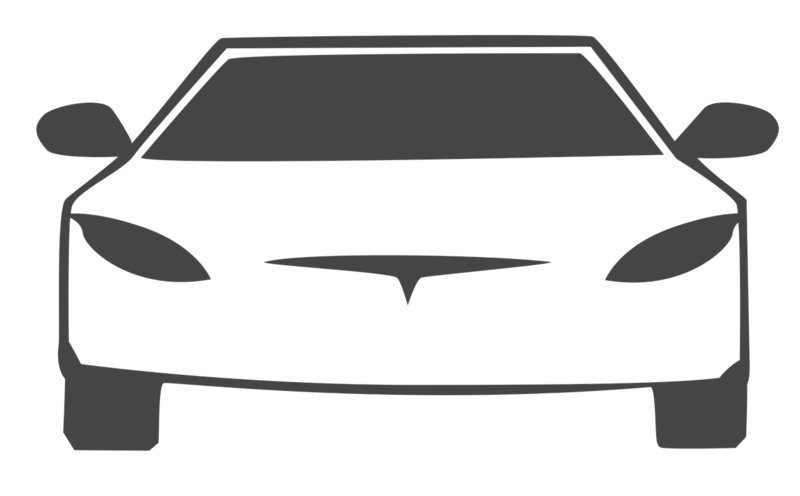 Moreover, the automobile market has also anticipated the arrival of autonomous vehicles in India. Dara Khosrowshahi, the CEO of Uber has positively said that autonomous vehicles will be in their network in India by next year. There are also a few start-up companies in India which are working on the self-driving technology. It is therefore evident that the market is already moving towards autonomous vehicles. When a revolutionary technology such as autonomous vehicles is expected to come into the market, policymakers must be smart enough to make regulations that ensure their smooth passage. Efficient policy making can be based on two principles. The first principle envisions autonomous vehicles as the primary mode of transportation in some areas, or as the “first mile, last mile” connectivity mode to and from railway stations, metro stations, bus stops etc. The second principle is based on the potential of autonomous vehicles to free people from the task of driving, road congestion, parking and other expenses such as purchasing a vehicle insurance etc. People will only accept this technology if they feel that they get more freedom as an incentive from it (The Economist, 2018). This could in turn encourage people to use public transport more often. I believe India, being one of the largest economies and the second most populous country in the world, should not be hostile to this upcoming technology, or there will be serious economic and environmental setbacks.